The Amerock BP36615ORB Sea Grass 3in(76mm) CTC Cup Pull is finished in Oil-Rubbed Bronze. Sophisticated finishes meet organic inspiration in the Sea Grass Collection. Slender rays mimic the setting sun or delicate fronds, connecting your senses to textures found in nature. The Oil-Rubbed Bronze finish is a rich, dark brown old world finish with striking light and dark accents. From Liberty Hardware, this Dual Mount Cup Pull exemplifies a style meant to fit with a wide variety of home décors. The classic design combines with a timeless Satin Nickel finish to create a look that is both casual and refined. It provides the perfect finishing touch to your project or home makeover. 3 in. Awning Cup Pull The Martha Stewart Living 3 in. 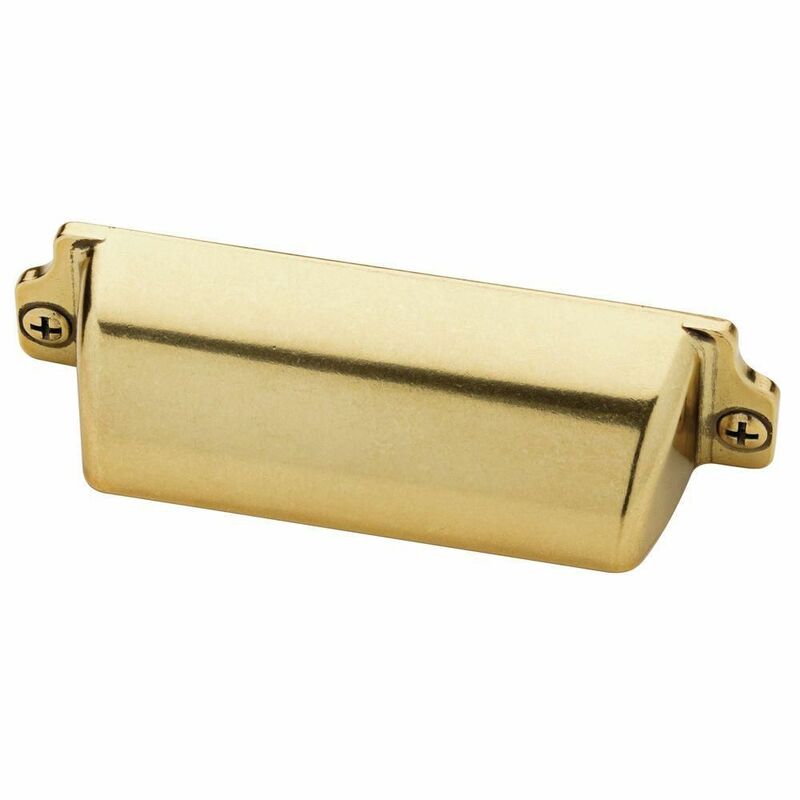 Bedford Brass Awning Cup Pull is designed to complement a variety of decor styles. The pull is crafted with die-cast zinc for strength and comes in a Bedford brass finish for aesthetic appeal. Fasteners are included for easy installation. 3 in. Awning Cup Pull is rated 4.4 out of 5 by 46. Rated 5 out of 5 by HomeDepotCustomer from Perfect!... Perfect! Rated 5 out of 5 by Paige from Love these handles. Modern, slightly industrial, and looks great against... Love these handles. Modern, slightly industrial, and looks great against my grey/green cabinets. Also, very easy to install! Rated 5 out of 5 by Sarah from Nicer than some from pottery barn that were more than twice the price. Nicer than some from pottery barn that were more than twice the price. Rated 3 out of 5 by HappyHause from I love the style, shape & weight, but the finish looked cheap so I returned them. Finish not as ... I love the style, shape & weight, but the finish looked cheap so I returned them. Finish not as pretty in person as in the pictures. Rated 5 out of 5 by Ashley from Beautiful and a fraction of the price of similar ones... Beautiful and a fraction of the price of similar ones from PB! Rated 3 out of 5 by HomeDepotCustomer from I like the shape and the finish, but the screws... I like the shape and the finish, but the screws on the front are fake, which I don't like.